Get ready, totchos... there's a new tater tot challenger in the ring, and it's kind of a badass. Also, super weird. 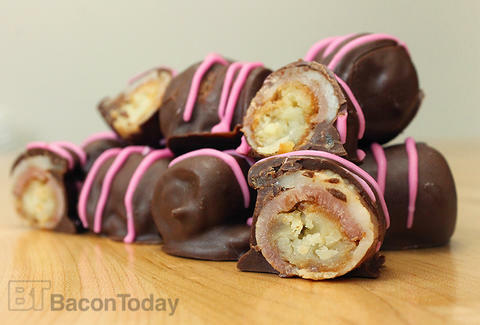 Bacon Today has unveiled a next-level tater tot that's rolled in bacon and chocolate, creating a superfood that could surpass bacon-wrapped scallops as the passed app of our dreams. The finished products also look suspiciously like a bonbon from Russell Stover's, so cross your fingers they replace the maple nut creams in next year's batch. Kristin Hunt is a food/drink staff writer for Thrillist, and thinks Bacon Today should challenge USA Today to a game of dodgeball. Follow her to courtside seats at @kristin_hunt.